Computer Audio Troubleshooting | Gear Acquisition Syndrome!! Isn’t that what we all wish for?? No problems; no trip-ups. 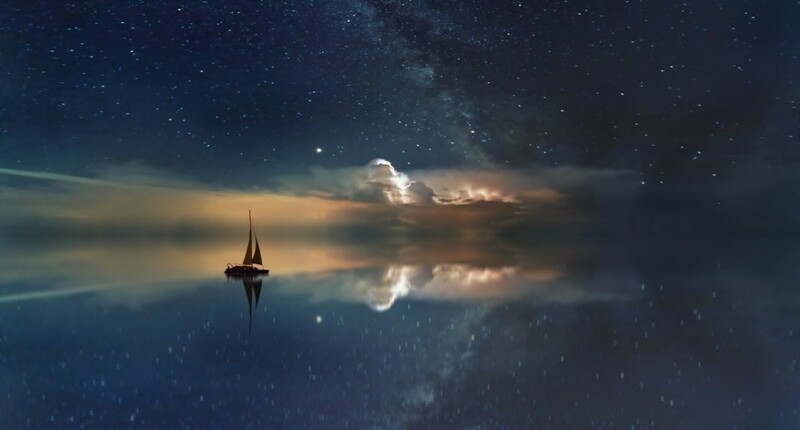 No sudden interruptions to our progress, only the sea of tranquility leading us to our desired ends. Too bad that we all know… that ain’t how the ocean rolls, baby! Sometimes we feel like chucking the whole thing into the ocean ‘cuz nothing… is… WORKING!! We all come across obstacles and those mocking wrenches of monkeys occasionally. Learning how to handle them with patience, informed direction and (with our clients) tact and ameliorating confidence will win the day every time. But that only comes with persistent study, practice and serving ‘in the trenches’ of audio long enough to know a thing or two. That’s why, in this post, we’re going to start sharing some of the little hiccups we find happening in the studio occasionally. We hope they’ll help YOU should the same audio gremlins sneak up into your creative space and become a nuisance. I’ll even share an audio problem I encountered just this week that I NEVER have before that took several hours to rectify. As always, perseverance paid off. 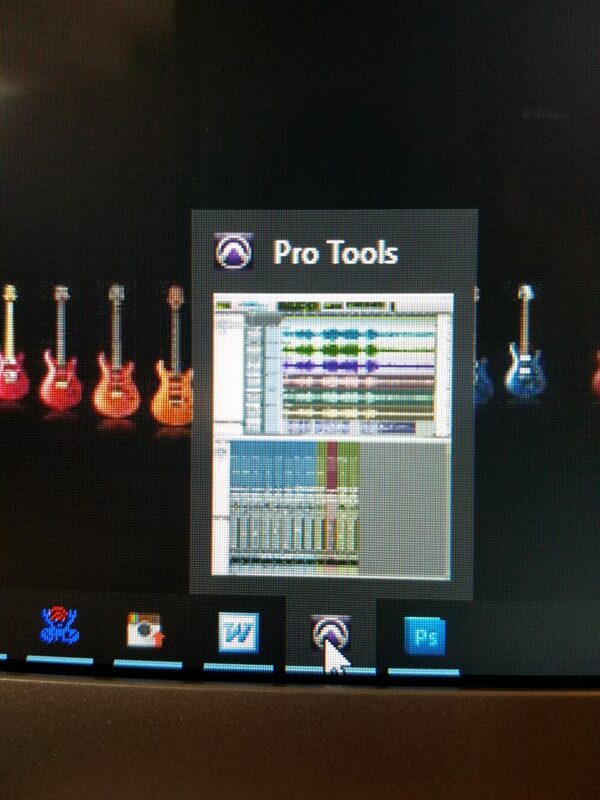 I first got Pro Tools a few years back when version 11 was up and running. Until that point I had worked on the Roland 2480 Hardware system. I knew that thing backwards and forwards… Every little menu, every little command. Ever switched DAW recording platforms? To say it’s a DAW-nting task would be an understatement, especially if you’re moving from a hardware-based system to software. 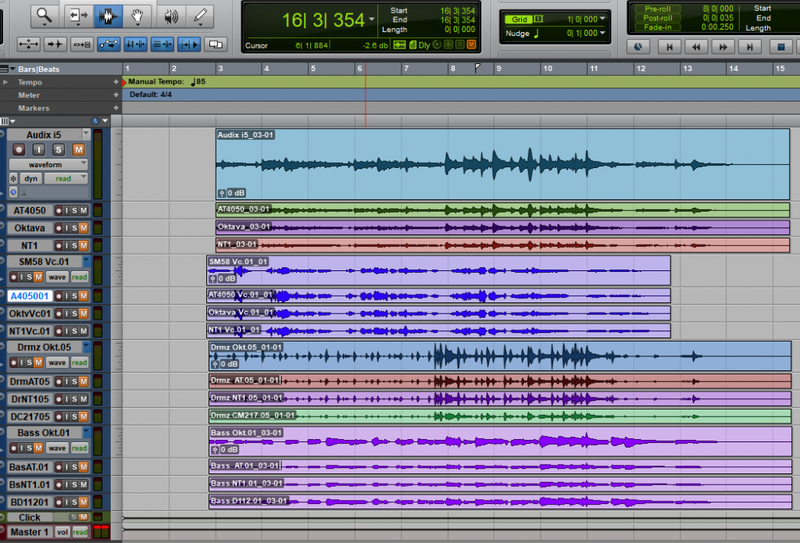 It took probably five months before I really felt like I knew what I was doing in Pro Tools. It’s a very powerful program; menus and sub-menus abound. Only with time and effort was I able to get back to swift and deft control of this platform. Avid Customer Care was also masterful in their assistance. No matter what issue I had, day or night, someone would always answer my phone call, and most of the time the issue was resolved immediately. One example of this was a P.T. problem I had that was very weird. It wasn’t a big thing, but it was aggravating. I put up with it for about 2 weeks, but then couldn’t take it anymore and called Customer Care. Here was the issue: if I was working in Pro Tools, and decided I wanted to do some work in another program, say, Gmail, I would minimize Pro Tools to get it off my desktop, and then open up the other program. Once I was done in that other program, I would close it down and click the Pro Tools icon in my toolbar to bring it up so I could get back to work. The annoyance?? Every time I did this, Pro Tools would not open back up. It was still running… I hadn’t lost my session or anything. I just couldn’t get it to maximize back onto my desktop! This was obviously a royal pain in the %@#! Don’tcha hate it when something that should take one second takes a lot more?? Grrrr… it’s one of my pet peeves. I don’t know about you, but I’m always looking for ways to maximize my work efficiency. If I can get MORE done in LESS time, that’s a win for everybody. Anyway, I’d finally had enough and called Avid Customer Care. The first assistant I talked to had not come across this problem before. He assured me though that he would pass on this issue to someone more knowledgeable and that I would receive a call soon. At this point I went behind my control desk to my desktop Mainframe and clicked the CD tray button. 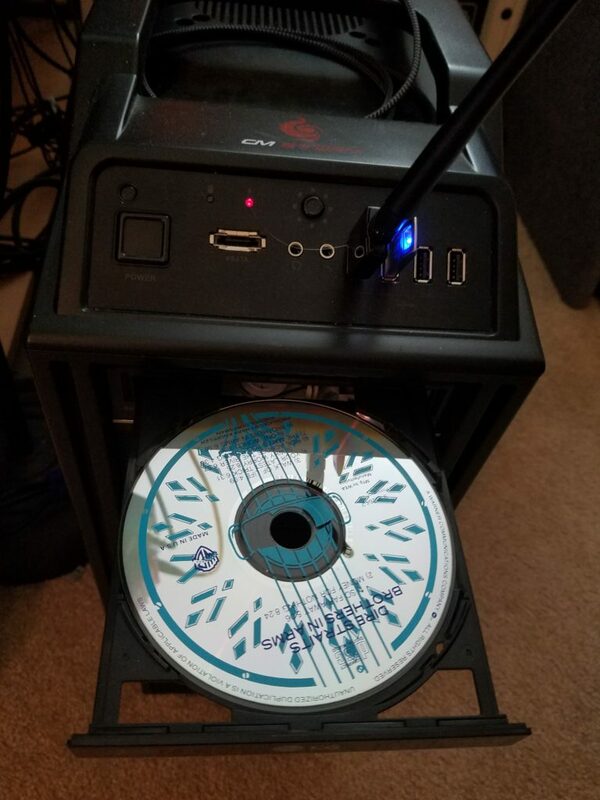 Sure enough, there WAS a CD in the tray. If I remember rightly, it was Don Henley’s latest album that I had been listening to through my studio monitors. Talk about coming out of left field! I’m still incredulous that having a disc in a tray can make software malfunction, but, hey… you can’t argue with results. And, long before the end of the day, it was back to smooth sailing in the studio again. Special thanks to Nolan and Nestor from Avid C.C. for their patience, professionalism and ability to fix our Pro Tools issues lickety-split. You guys rock!!! Hello?? Is this Mic On??? The next audio troll we’re going to push from the fjord cliff is one that I faced many times when first starting out. Sometimes you just don’t know what you don’t know. If you’re trying to track down the source of an audio problem without having an informed grasp of all the individual components, you might just glide by the answer without even knowing. The issue? Microphones not working. Have you ever hooked up microphones to cables, plugged those cables into your interface, and routed your interface correctly to your DAW, only to find that you’re still not getting any sound from the mics?? When you’re ready to record, the more time passes with something preventing the signal from getting through, the more exasperating it becomes. I’ve been there; I feel your pain. But it’s all part of the process. The more you deal with these recording headaches, you become that much more of a professional, able to bat out of the park whatever is thrown at you. The PHANTOM POWER isn’t on! In case you don’t know, condenser microphones need to be powered. Some you can put batteries in. Most, however, are made such that they draw power through the microphone cable from a source of electricity labeled “phantom power”. Now, even if you know this, you can forget. It happens. 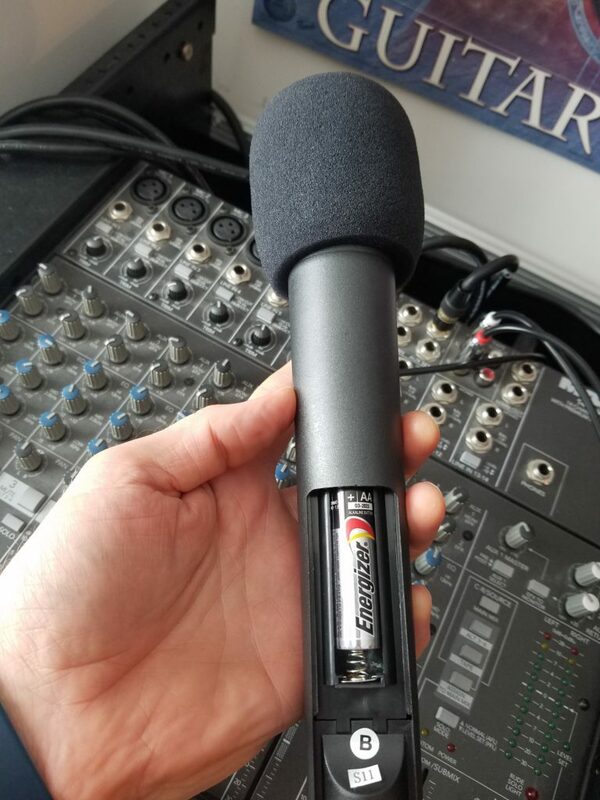 If, on your last session, you used a lot of dynamic mics, and your phantom power button is off, then the next time you plug in condensers for another session you’ll have “dead” mics. Unless you remember to flip the switch. To the right you can see the phantom power switch on my Tascam interface, which I use primarily when I’m tracking live drums. It’s a great interface. I’ve had ZERO problems with it, so if you need one with quite a few XLR inputs, check it out by reading THIS POST. If I forget to turn this on when my condensers are set up, I’ll be scratching my head in wonder… until I remember. As usual, the big takeaway here is: know your gear. Know which mics need phantom power, and which ones don’t. 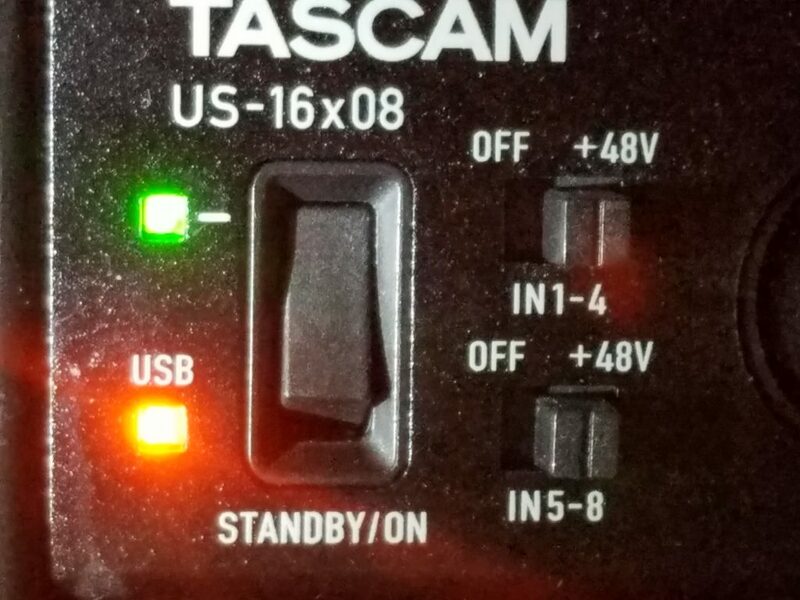 Know where the phantom power switch is on your interface or mixer. If you want to explore and research phantom power further, click over to THIS WIKI PAGE. Just this week a major source of audio aggravation hit my studio. 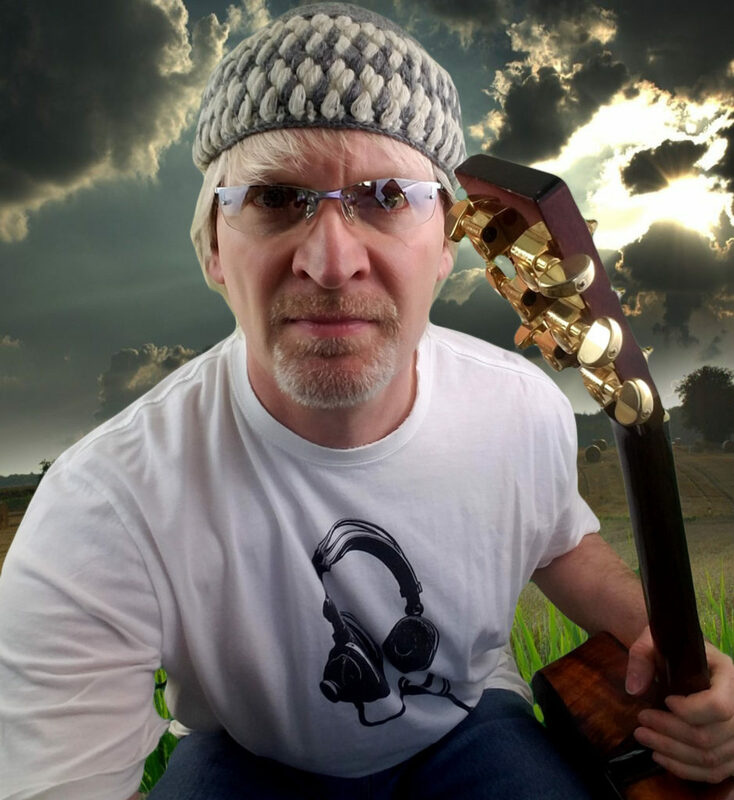 I finally finished writing my latest tune, and I had spent hours setting everything up for my acoustic guitar and vocal recording session. The mics were perfectly placed. My guitar had fresh strings and was perfectly in tune. 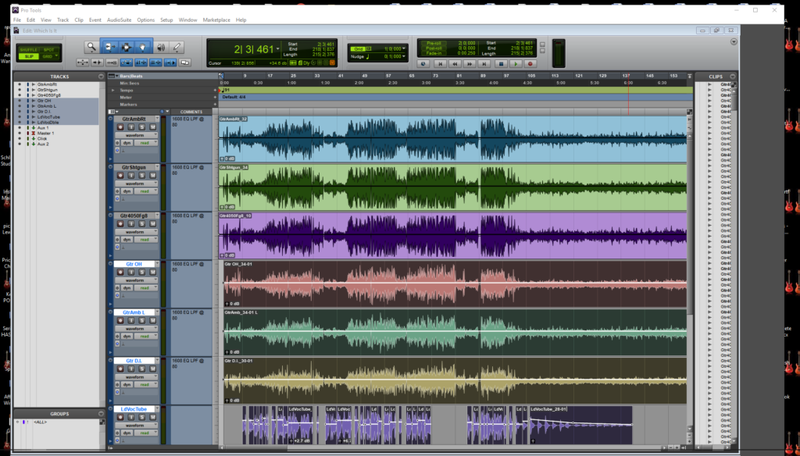 My Pro Tools session had every track, effect and routing optimized for success. I laid down my first pass on acoustic guitar, then came back to my control desk to listen to playback. Something was wrong. Something I had never faced before. A dilemma so odd, I was stupefied. 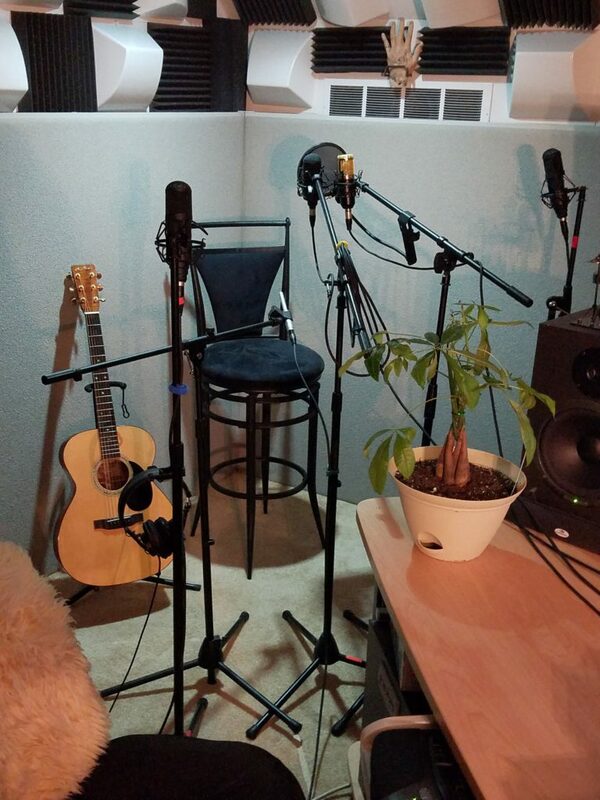 I like to record my acoustic guitar with five different microphones, plus a D.I. This allows me a lot of options during the mix stage. It’s rare that I use more than three in the final product, but having six to choose from to get to that final masterpiece… I wouldn’t have it any other way! This week though, when I started to listen back to the acoustic tracks through my headphones, it was clear that every single track was suffering from some kind of phase issue. Every one! The details help explain: if the panning on any track was dead center, the signal would be very low and thin. I recognized it immediately as what phase cancellation sounds like. But get this: if I panned any of the tracks, left or right, the signal would start to get clearer, and louder. Any track that I then panned fully left or fully right, would sound totally normal and full, like there was no problem at all! But wait – there’s more! Those signals I had hard-panned? They didn’t sound panned AT ALL!! Yeah, that’s right; even though I had every single track panned to the extreme left or right, what I HEARD through the headphones was all tracks dead center. Can you believe this??! I was dumbfounded. Flabbergasted. A back and completely bewildered. Never before had I experienced anything like this. In a way, it was totally cool! I mean, how often do we get to experience something totally new that we’ve never encountered in the recording studio? Not that often. Still, my musical momentum had totally crashed in the face of this obstacle, and I was so itching to get this song recorded that this latest hindrance was really getting on my nerves. I Googled for an hour. No whisper of anything like this. So I started to troubleshoot. What do we do when faced with audio anomalies?? Start at the source and trace it forward. 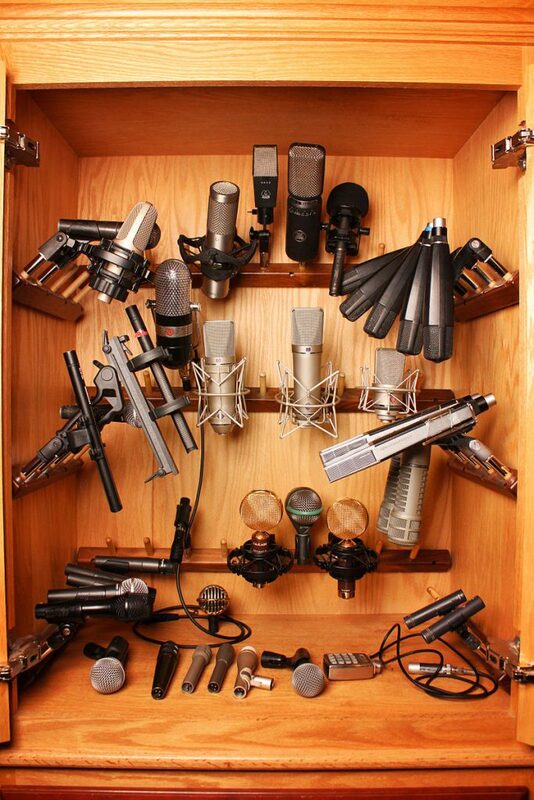 Amazingly, the same issue occurred when recording with only ONE MIC!! Clearly then, this was not related to phase issues. There was only one waveform! Only one or more other waveforms could cancel cycles out! 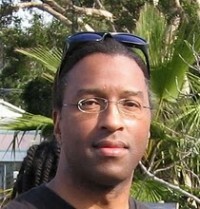 Being at my wit’s end, I decided to call a good friend of mine who is an informed, professional audio engineer and prolific artist: Sidney Howard. Back to Google I went. Another hour. Still no solution. I decided to totally close down my Pro Tools session, start a brand new THIRD session, and try it with only one mic again. After setting up my tracks and routings, I recorded one more pass. Aw. I was so frustrated. What in the $@!$% was going on???! Then it happened: I had decided to get up and go double-check the electronics on my acoustic, just in case there was some switch or button that I had missed there it might be causing this weirdness. … and the problem was gone. WHAT???? Now I was more perplexed than ever! I hadn’t done anything. Nothing had changed!! I had simply got up out of my chair. … it was coming from my headphones connection. I picked up the end of my headphones cord, where it was plugged into an adapter, and then into a headphones extension cable. I discovered that the adapter was not totally screwed on to the headphones plug. It had come a little loose. We’re talking only, maybe, an EIGHTH of a turn! But that was it enough to cause this problem. The lesson I only just now learned after decades in the business?? 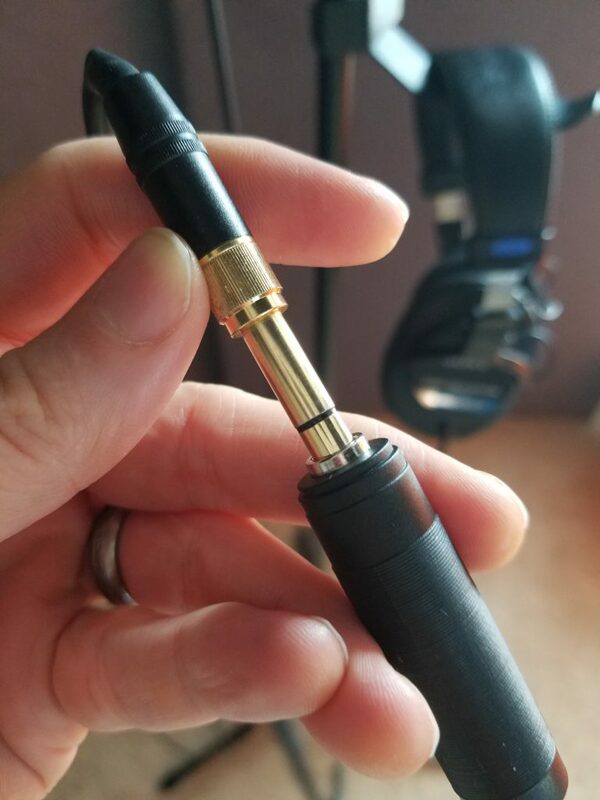 A simple headphone adapter maladjustment can trigger what APPEARS to be phase cancellation… but isn’t! So there you have it – technological proof that no matter how much experience you have, you can always learn something new. We’re bound to run into problems and conundrums occasionally in the recording studio environment. The best thing we can do is keep working our gear hard, actually record as much as we can, and try to head these issues off at the pass before they can rear their ugly head during a session where we actually have other clients present! That’s when it gets really tormenting. 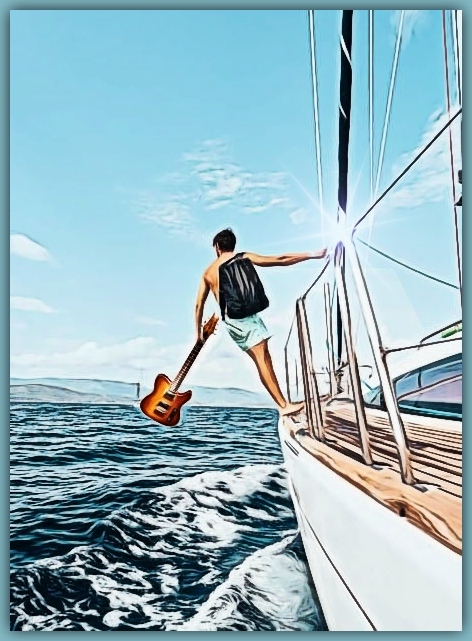 Keep up the good music and you’ll bound to serenely sail past those choppy waters in no time. Have you come across any outrageous DAW anomalies? Have any hardware issues stopped you while tracking?? Let us know in the Comments section. When we share what we know, we all learn and grow.